Usually we post current news stories, including weekly posts about Medicare and Medicaid fraud. Today’s post is different. Although we often read how much money was awarded to whistleblowers or how many years in prison were handed down to the fraudsters, we rarely hear from victims. Unfortunately, healthcare fraud often involves needless human suffering. During an Uber ride to the San Antonio airport, my driver Israel shared his tragic story. Israel is one of 7 children. In his early twenties, he recently had to move to San Antonio to take care of his mother. Mom is now suffering from early onset dementia and other health problems. A woman in her forties, she should be in the prime of her life. Instead, she is suffering and will probably die within a few years. What does this have to do with Medicaid fraud? Plenty. Israel’s mom medical problems began when she suffered from a botched cardiac stent procedure. Stents are a relatively safe procedure but every procedure and hospital stay involves the risk of infection and complications. That is what happened here. Once an infection set in, a whole slew of cascading medical problems began. Is this is a medical malpractice case? Probably, but it is so much more. After the infection set in, doctors at another hospital reviewed her records and concluded that her heart was fine. She didn’t need a stent. A consulting cardiologist was brought in for a second opinion. Once again, the same conclusion. Mom didn’t need the stent. It wasn’t even a close call. Now Mom is bed ridden, Israel gave up his high paying job and is driving for Uber and a family will soon lose their mother. Why? Simply so a doctor could bilk Medicaid out a couple thousand bucks. I read about these cases every day. We prosecute them on behalf of the government. Today, in the back of an Uber car, came the real reminder of why whistleblowers are heroes and why we prosecute their cases. 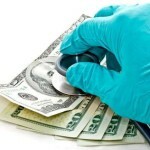 Medicare and Medicaid fraud often occurs when doctors or hospitals pay kickbacks for referrals. It also happens when healthcare providers bill for services never provided. The worst cases, however, are those involving medically unnecessary services and procedures. Even procedures considered “safe” can have disasterous consequences. Nothing is 100% safe. Today, I listened to Israel tell me how his Mom suffers daily and how he must do everything for her. Medicaid fraud whistleblowers are heroes. It takes guts to stand up and blow the whistle. Even though employment retaliation is illegal, we all know it happens. Blow the whistle and you may lose your job. Lawyers like myself can get back your job or a damage award but that could take a year or more and during that time, there is no money coming in. Congress realized this and back during the Civil War (1863) passed the federal False Claims Act. That law pays whistleblowers for their information. Under the Act, a healthcare fraud whistleblower can receive up to 30% of whatever the government collects from the wrongdoer. The law also allows the whistleblower to recover double damages if retaliation occurs. Thirty states also have similar laws for Medicaid fraud cases. All healthcare fraud is illegal and all hurts taxpayers. Sometimes, however, it ruins lives. We urge people with knowledge of fraud to step forward. Often these illegal schemes go on for years. Israel tells me that prosecutors have yet to arrest his mother’s former physician. They say they need proof of intent – proof that comes from an insider (whistleblower). As experienced whistleblower lawyers, we will be with you every step of the way. Our clients have received over $100 million in awards. When necessary, we can help if retaliation occurs too. Let’s end the needless suffering. If you have inside information about Medicare or Medicaid fraud, call us. Even if you decide not to file, we can help you evaluate if you have a case. And we can help you discuss your options. For those wanting to insure the fraud is stopped and earn an award, we can help you file a sealed lawsuit as required by the False Claims Act. (There are no legal fees unless we are successful and recover money for you.) Not interested in the award? We can point you to the national Medicare fraud tipline where you can report anonymously. Whatever you decide, do something today to stop the suffering. Pick up the phone and call us. Email us too. All inquiries are protected by the attorney – client privilege and kept confidential. You can even call us anonymously. That is okay. or by telephone at (414) 704-6731 (direct). The only person answering my direct number is me. You won’t be directed to a nonlawyer and you don’t have to give me your name. I don’t know Israel’s mother but she sounds like a fantastic woman who raised 7 kids and already has a couple grandchildren. She deserves better. You deserve a good night’s sleep and an award too. The healthcare profession is a noble one. When someone puts profits before patients, it is time to blow the whistle. *Looking for more information before you call? You can read more stories on Medicare and Medicare fraud by using the search feature on our blog. You can also access our Medicare fraud information page and our 11 Step Guide to Whistleblowing.